I am writing this with full responsibility and knowledge of the situation on the ground. I live thousands of miles away from Indian shores but visit thrice in a year and closely follow events and remain in touch with friends and acquaintances. From being addressed as a traitor, to a Pakistani, and of course the usual ‘terrorist’ tag, thanks to the hatred some of my countrymen have against Muslims; I bear it all each day. Twitter, day in and day out is filled with hate messages from the hardliners who demand a certification of patriotism from me, just because I am a Muslim. Feels sad. But then, that is what it is! Just a mere ‘feeling’. I pull up my socks again and get out there on the virtual battlefield to fight my Indianess. I really do not need to do so but I still choose to do it. The outcome of the recent assembly elections in Maharashtra is surely a sign of changing times. Against odds, the All India Majlis-e-Ittehadul Muslimeen won three seats. The result meant that Owaisi brothers have finally succeeded in expanding the party’s base outside its stronghold in Andhra Pradesh. 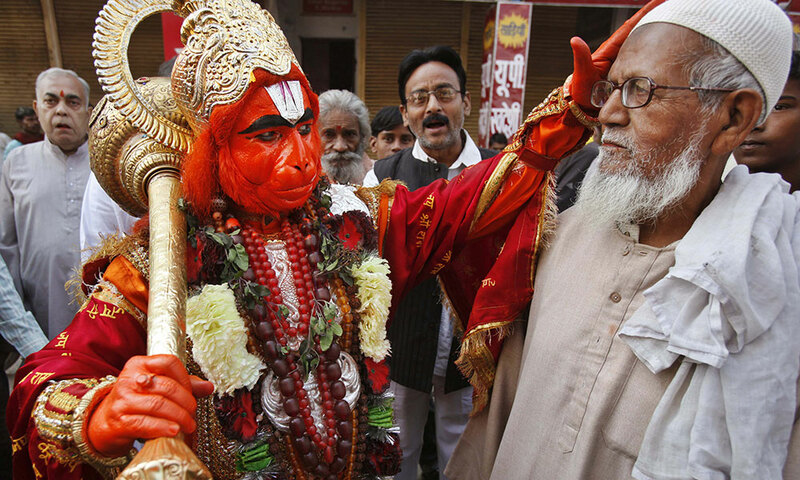 Fighting elections in the name of religion is nothing new in India, neither is the exploitation of a persecution complex in minorities. What’s new is the emergence of a Muslim led and governed party. It reflects the level of dissatisfaction of the Muslim minority with mainstream political parties. 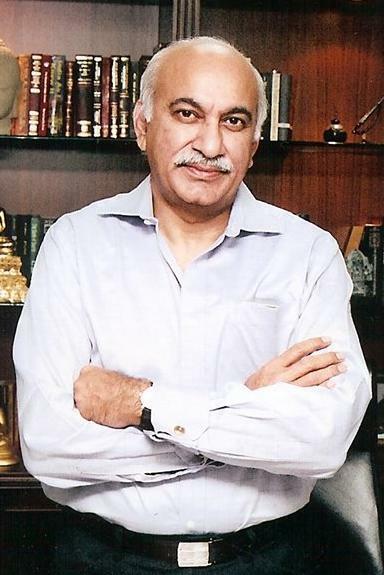 MJ AKBAR is a prolific Indian author and journalist. His most recent book is ‘Tinderbox: The past and future of Pakistan’. 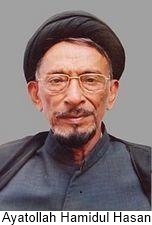 In an exclusive interview with Inam Abidi Amrohvi, Muslims Today, Akbar speaks on issues that plague the Indian Muslims. Education has been the bane of Indian Muslims. Has the situation improved both in terms of the infrastructure and mindset? Yes, and I feel education begins with the mindset. I noticed this in the 1990s, after the high tension of the Babri Masjid episode. I think there was a very strong sense, within the Muslim community of India, of having being let down by politicians who created a hype which led to a high spurt of emotionalism. The community in particular felt abandoned mainly after the Congress government promised to protect the mosque and then quietly went to sleep on the day of the demolition. I feel there come crisis points in the lives of people which wakes them up. There was a crisis point for example, in 1991, when the economy was hit in India. Similarly, the mosque demolition, too, made Indian Muslims realise that the future lay not in the politics of manipulation (what we have seen being done by those who seek Muslim votes) but in the basics, which is education, from education the economic empowerment. Education is the primary means of economic empowerment. The opportunity base in India is huge. One of the more important things I see in all the investments of the community, is the education of the girl child. We are already seeing the change in rising literacy levels and the economic opportunities created as a consequence of these investments of the last 20 years. I CHANCED upon two well researched articles in Awadhnama late last year. One was by Dr Mohammad Saani and the other by Ms Razia Majeeda. As per those articles, during the last 20 years, in India alone, some 80 to 100 million infant girls were killed in their mother’s womb. Reading the articles, some other figures crossed my mind. I COULD not resist the desire to write on this subject after the violence at Azad maidan on August 11, 2012, in Mumbai, and the competitive politics this event led to among rightist and identity seeking political parties in Maharashtra. Now is the most appropriate time to analyse why certain sections of Muslims indulged in violence. What motivated them and why they directed their anger against state institutions and media? First and foremost, I condemn the violence in the most strongest terms. Now comes the question, as to why it happened. On the surface it appears that certain sections of Muslims are unhappy with state institutions in the way they handled Bodo-Muslim clashes in Assam. Thousands of Muslim homes were burned by Bodo militants in order to drive them away. Many innocent people died in the clashes and government of Assam was lax in taking action against culprits.